Spain is facing a European crisis and several national crises, both economic and territorial and political. 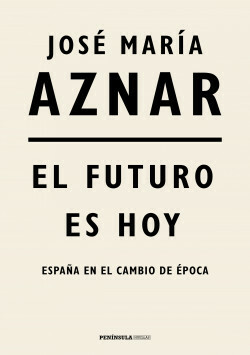 In this book, José María Aznar analyses the corresponding gaps that have worsened in Spain: the generational, the social and the territorial. The author also discusses the loss of Europe’s importance as an international player: the fact that the EU will end up displaced as a Western outpost is a possible scenario. For this reason, the author invites reflection on the Atlantic as the new Mediterranean, that is, an area of civic values, democratic institutions, cultural exchange and dynamic growth.